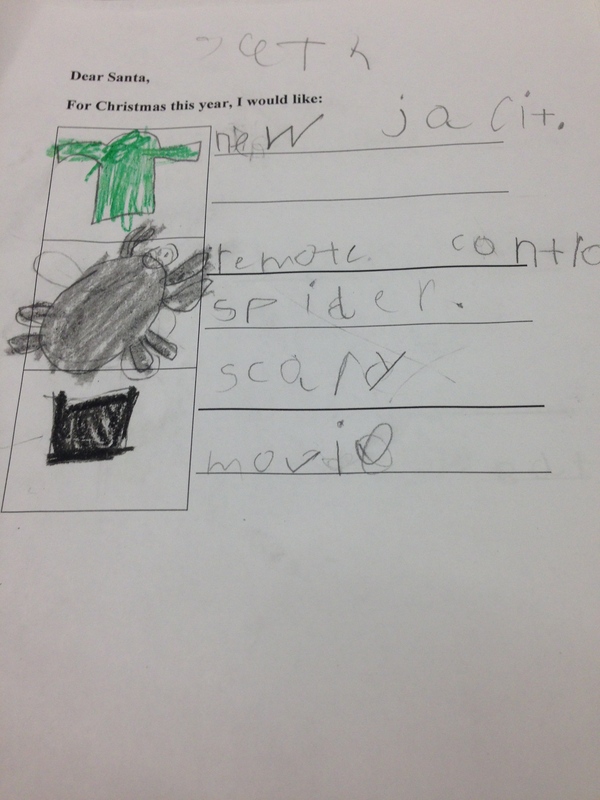 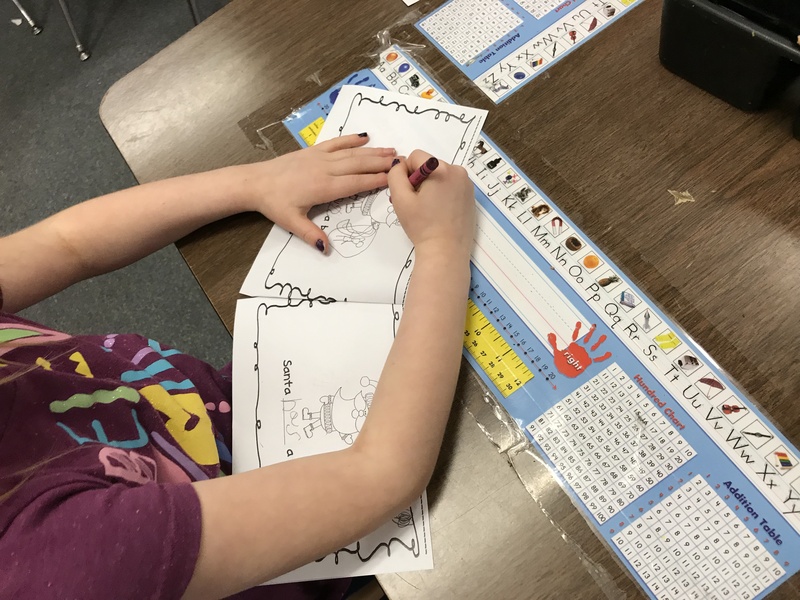 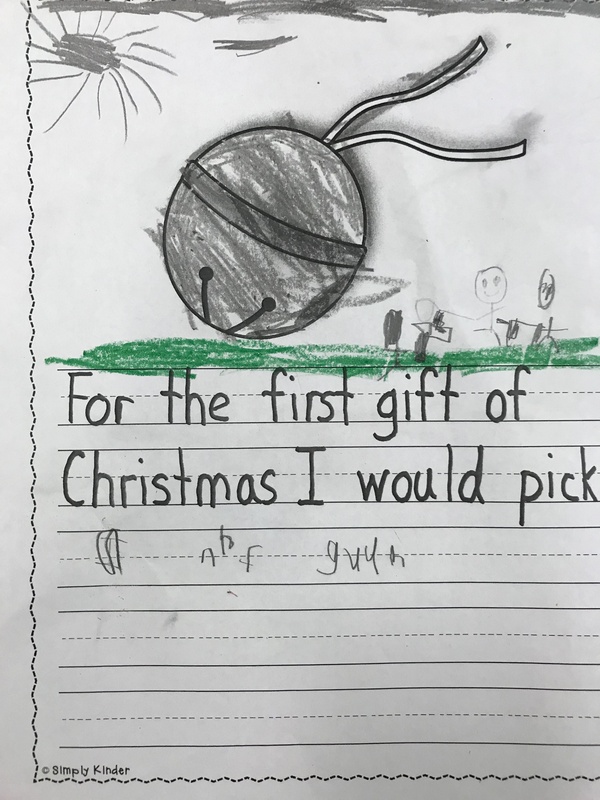 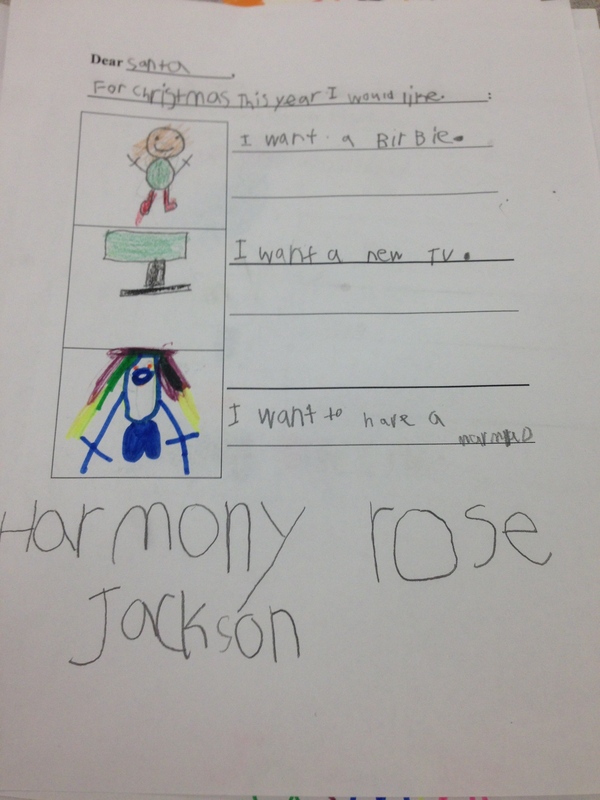 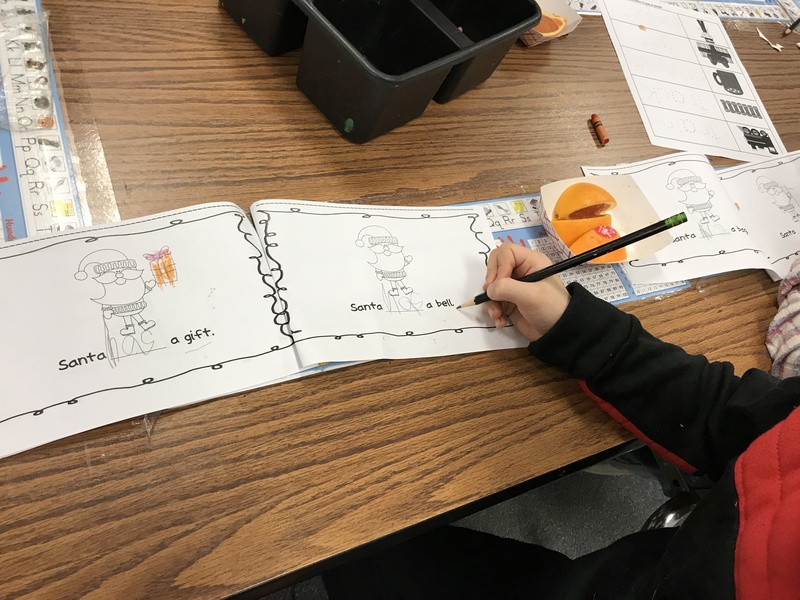 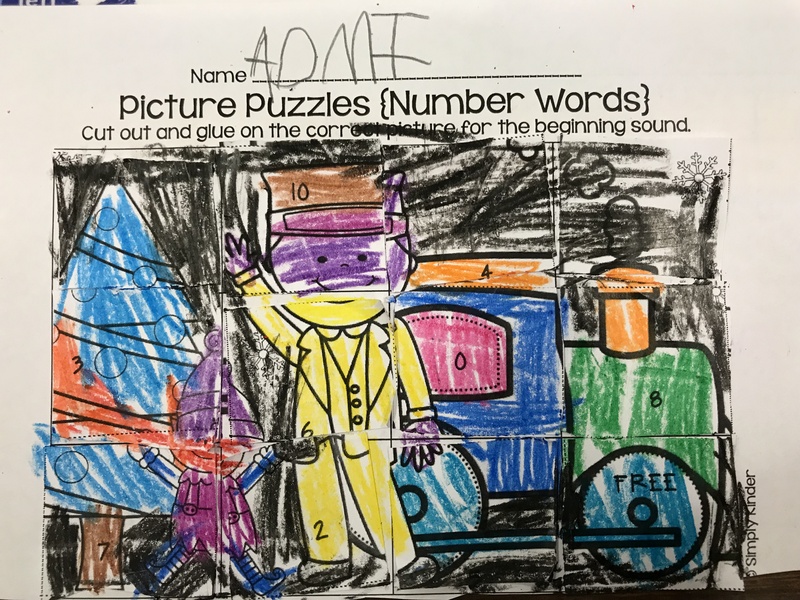 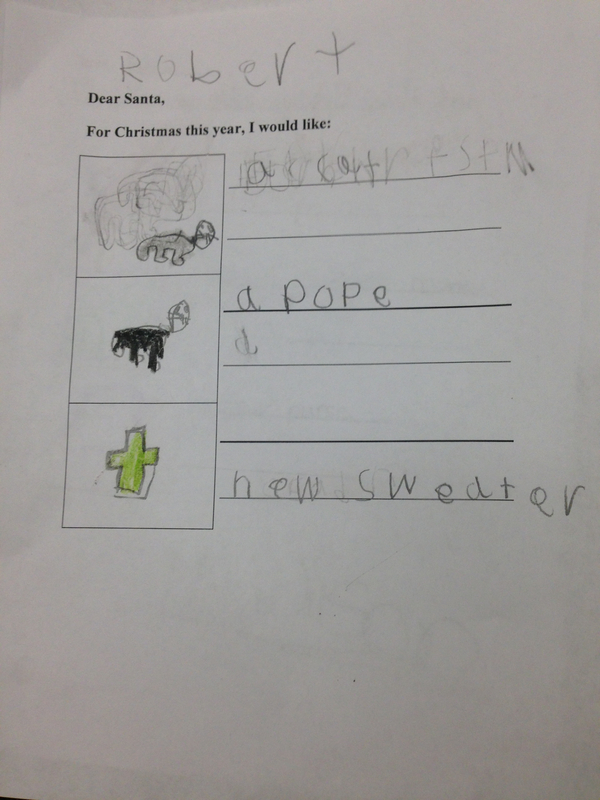 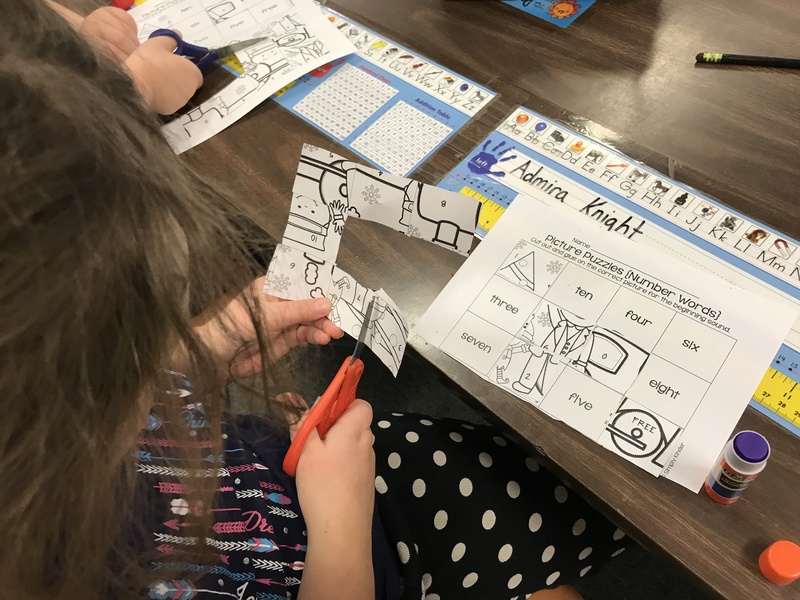 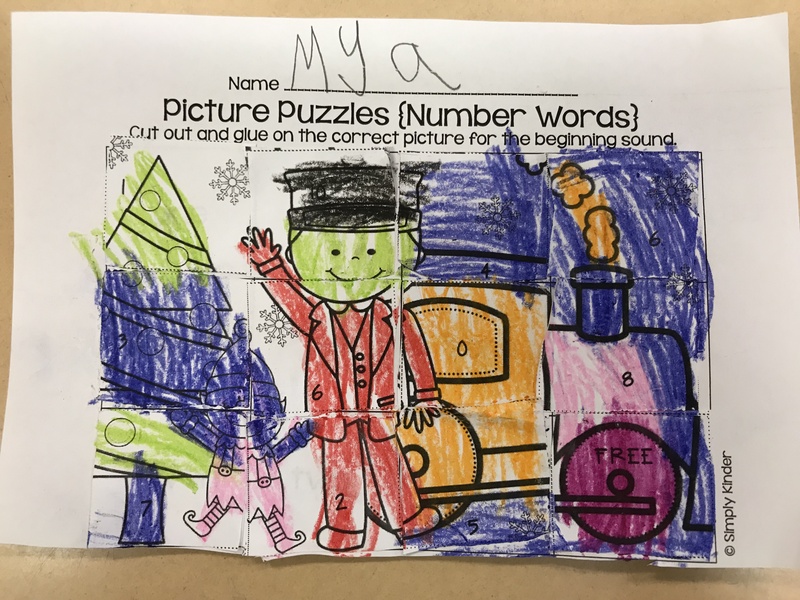 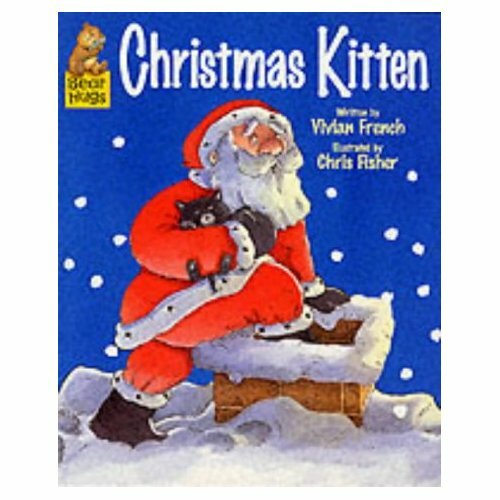 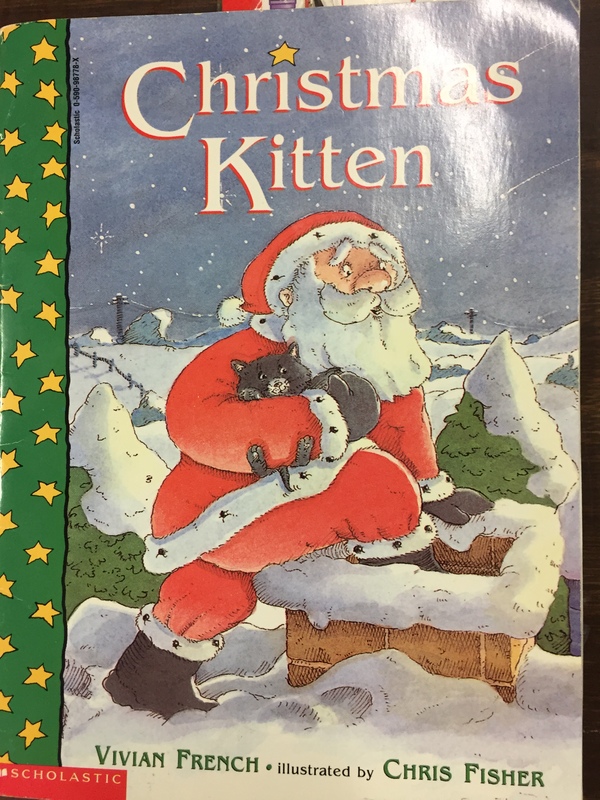 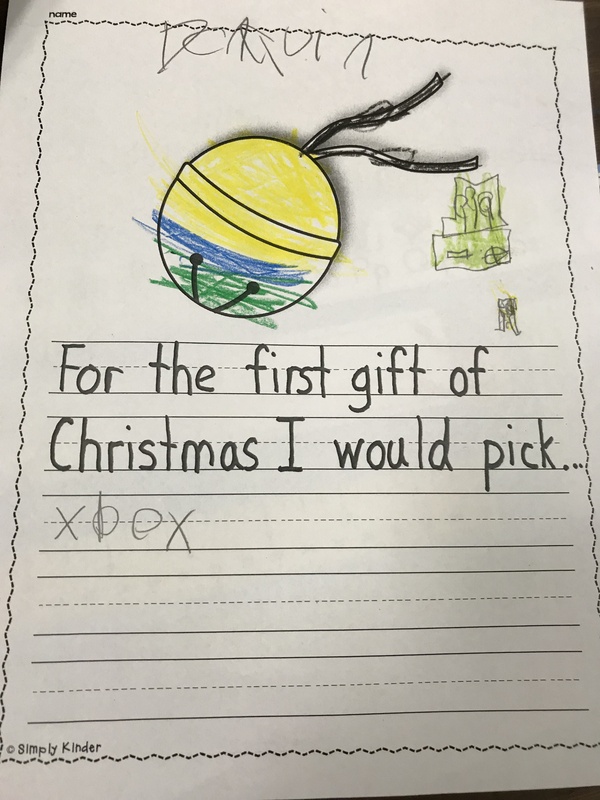 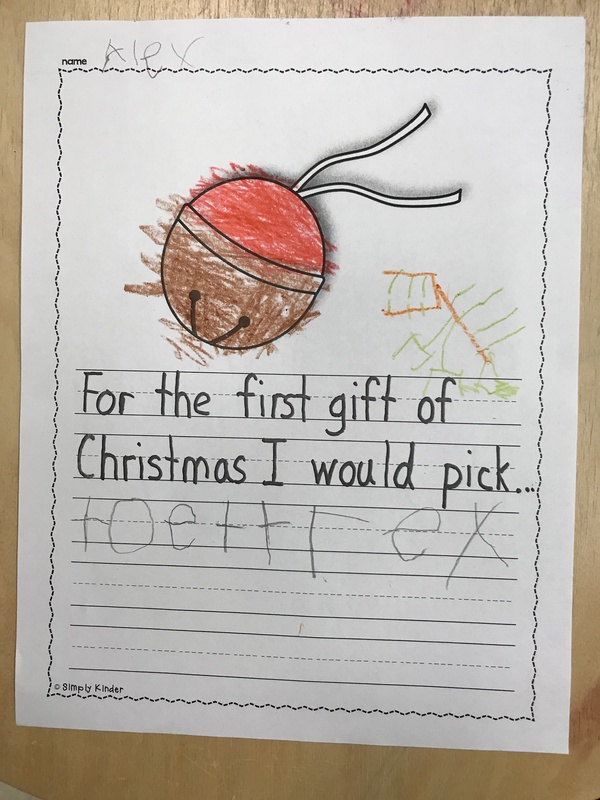 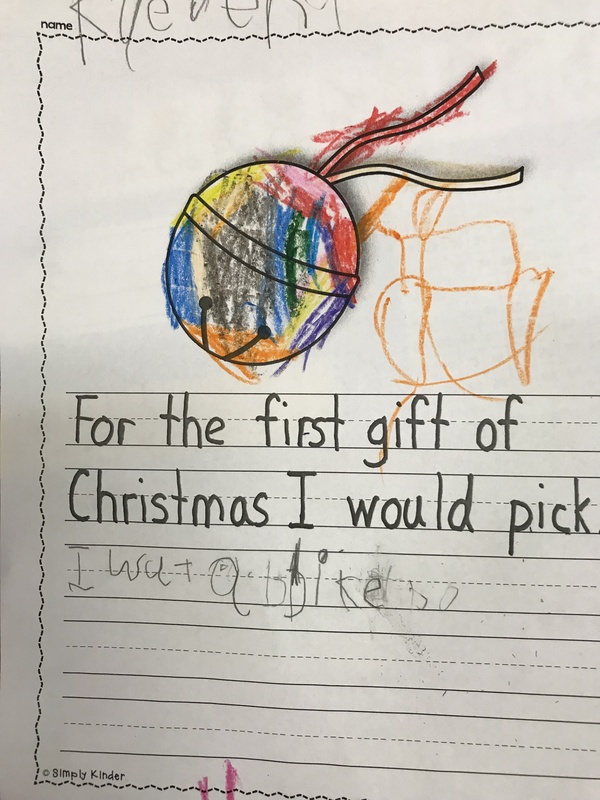 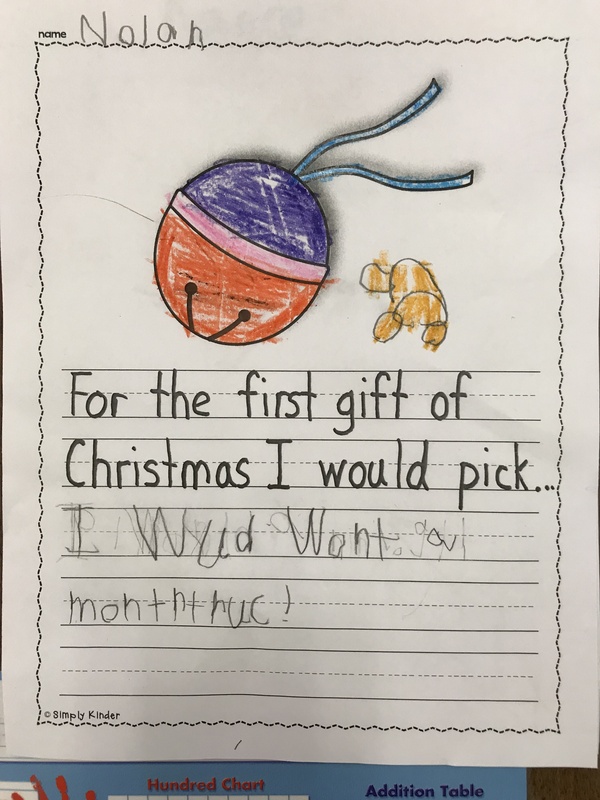 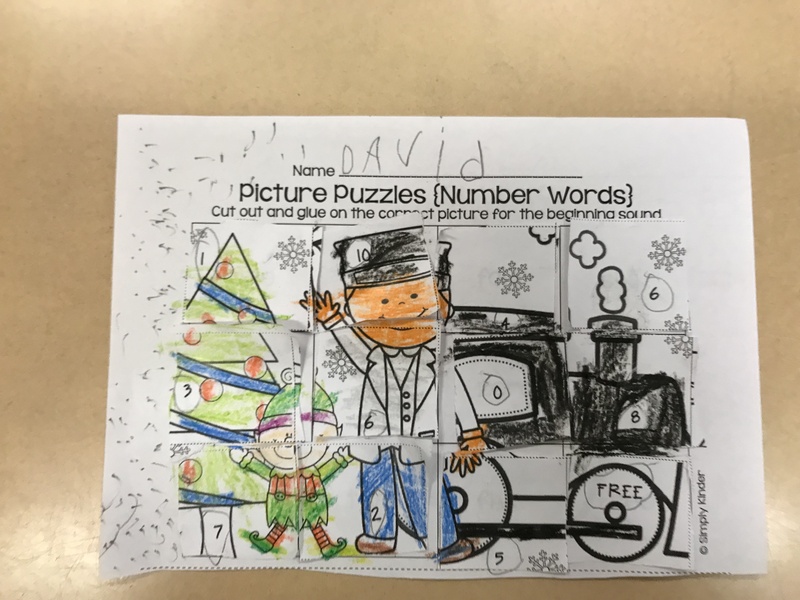 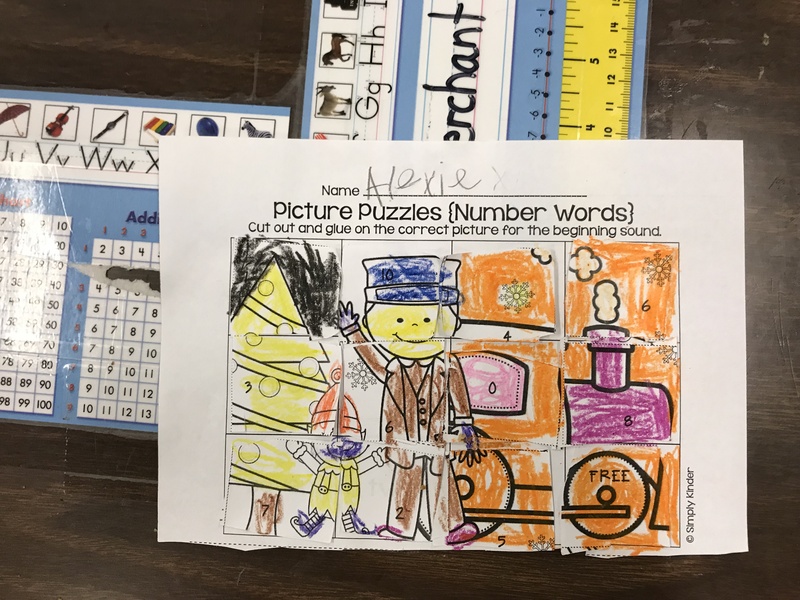 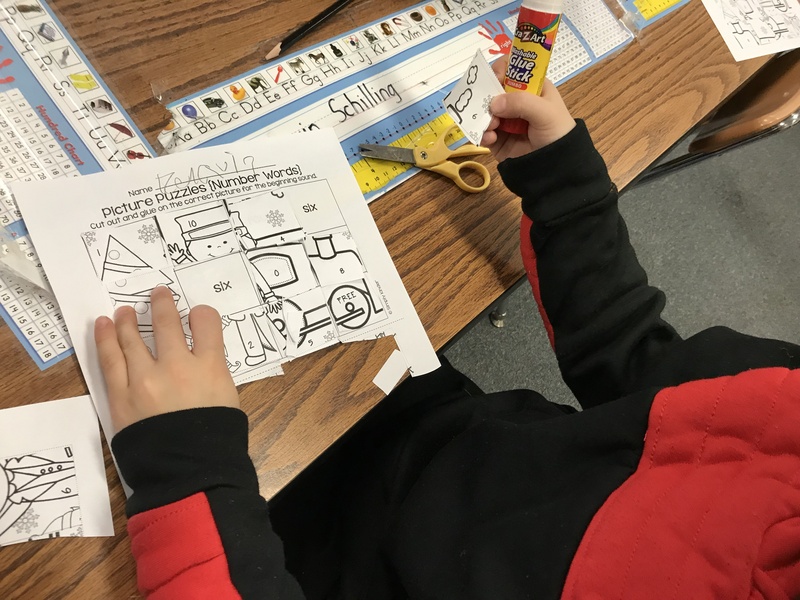 We read the story Christmas Kitten and made a connection with the story by talking about what we want for Christmas. 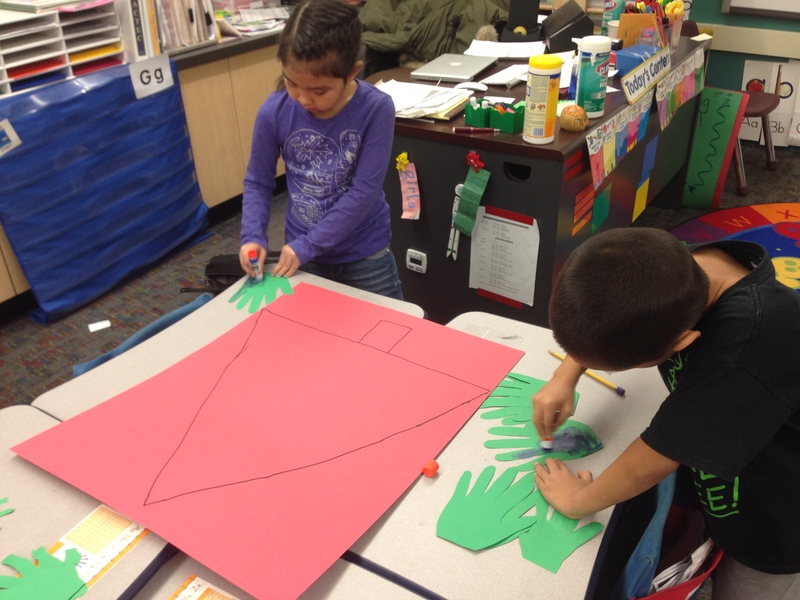 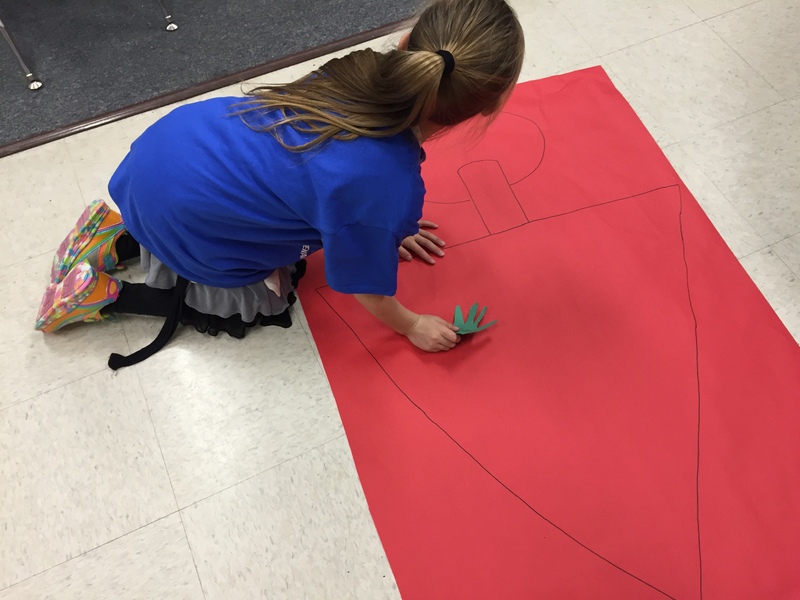 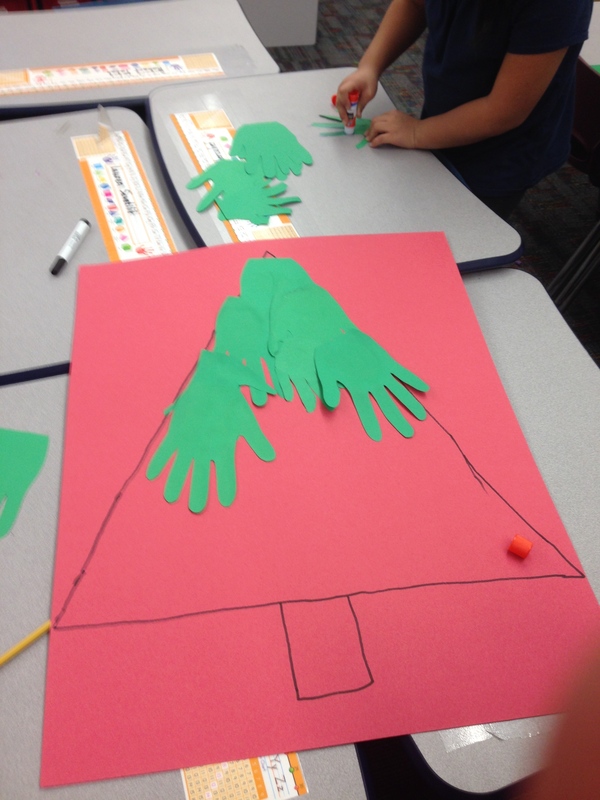 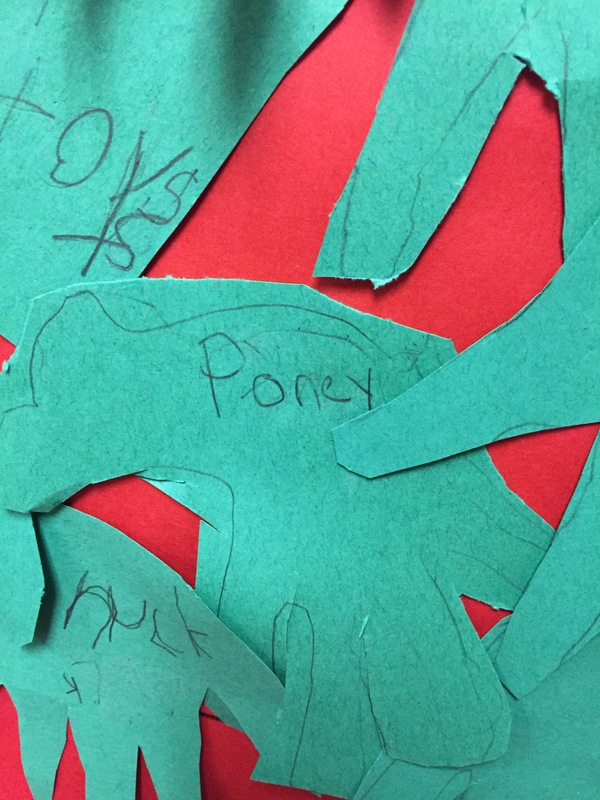 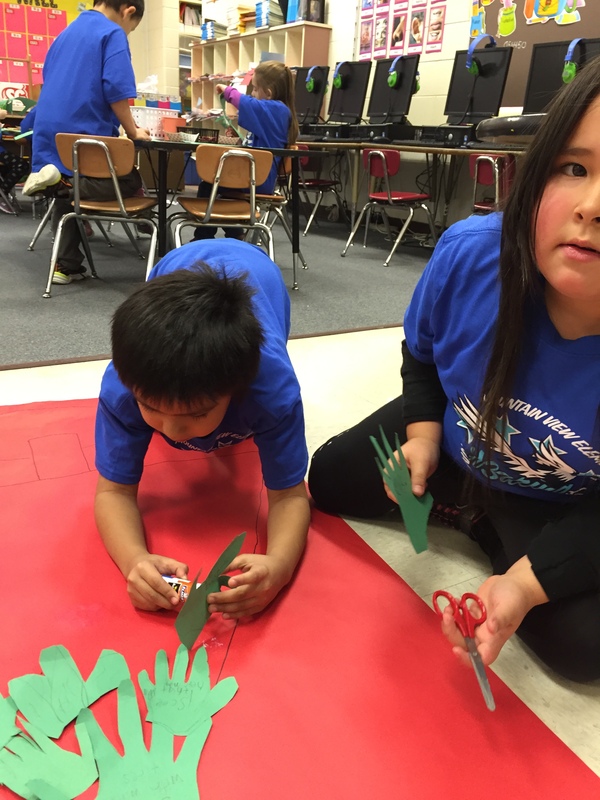 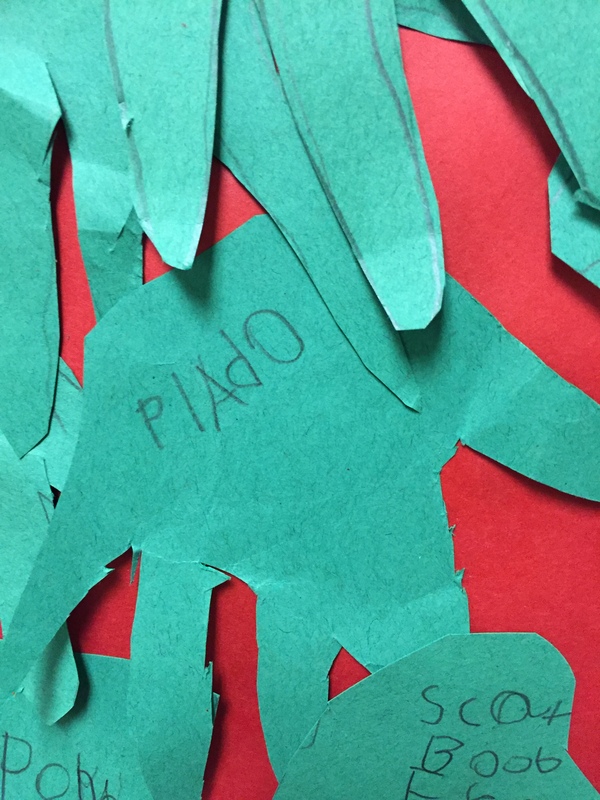 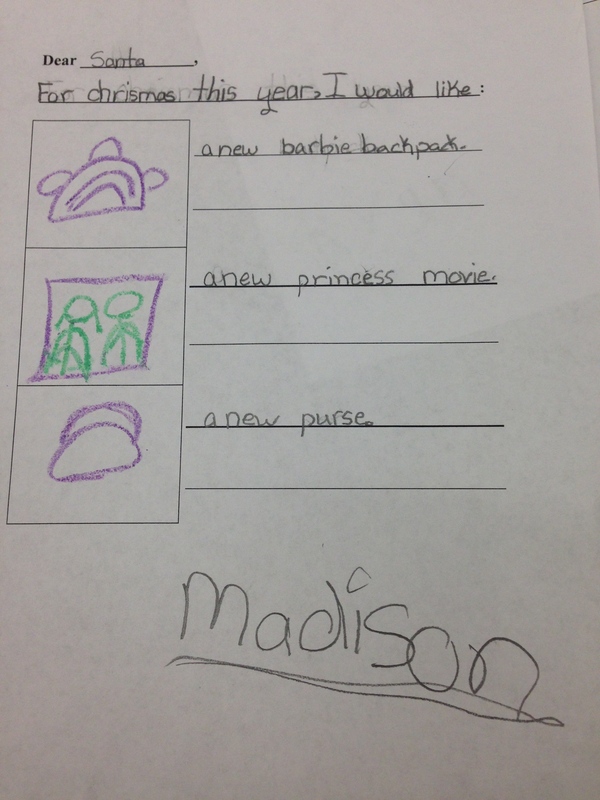 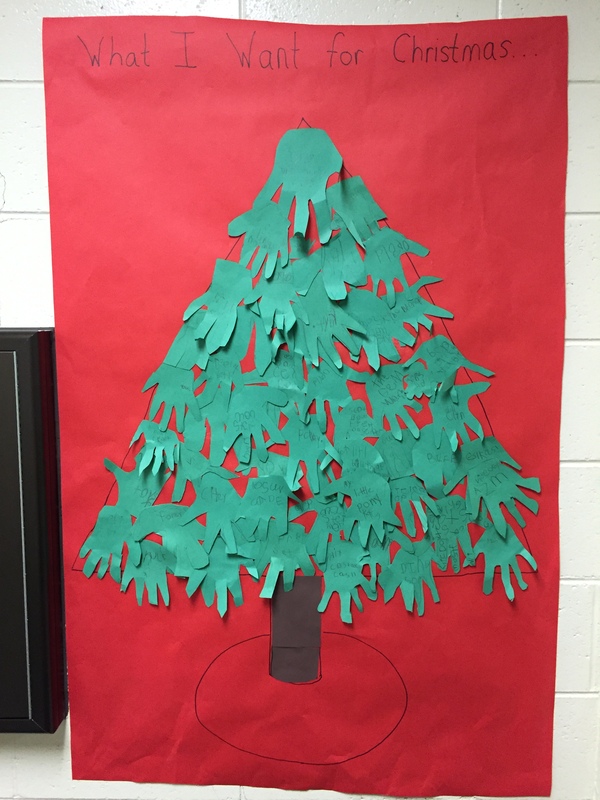 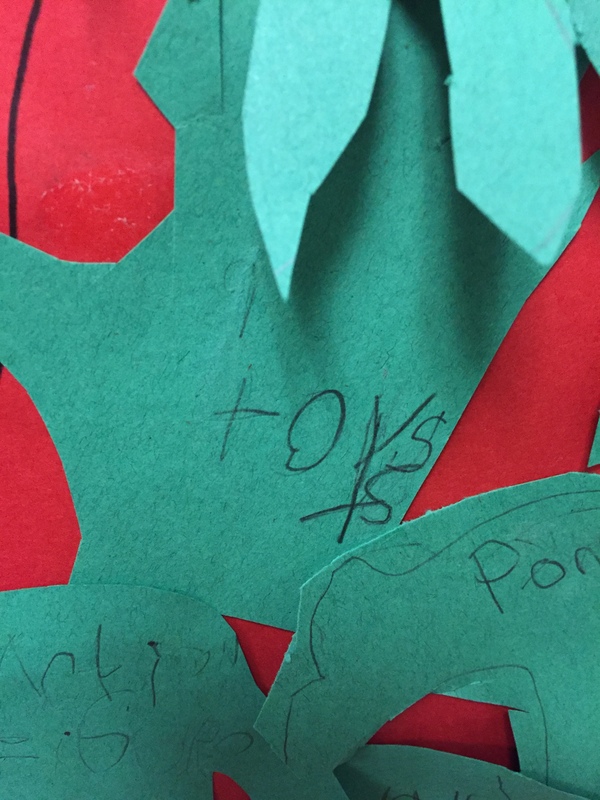 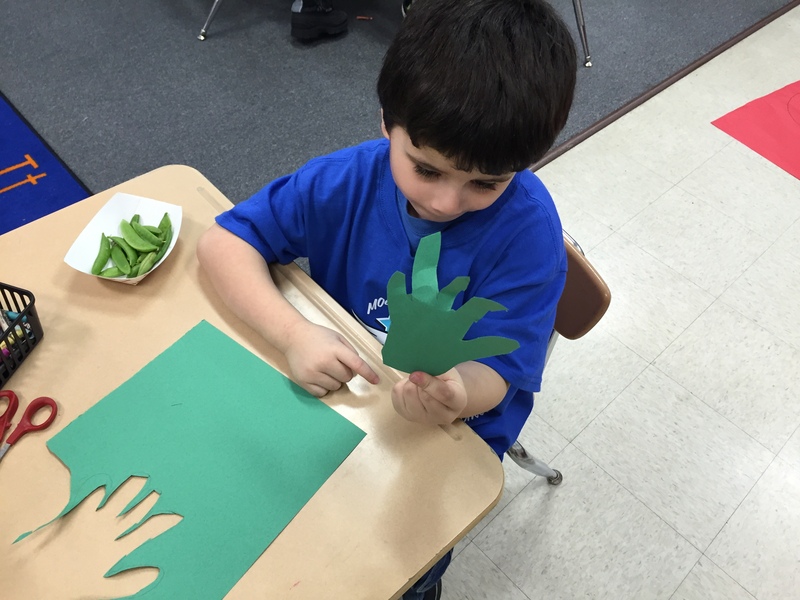 We made hand print cut outs and wrote what we want for Christmas on the hand print. 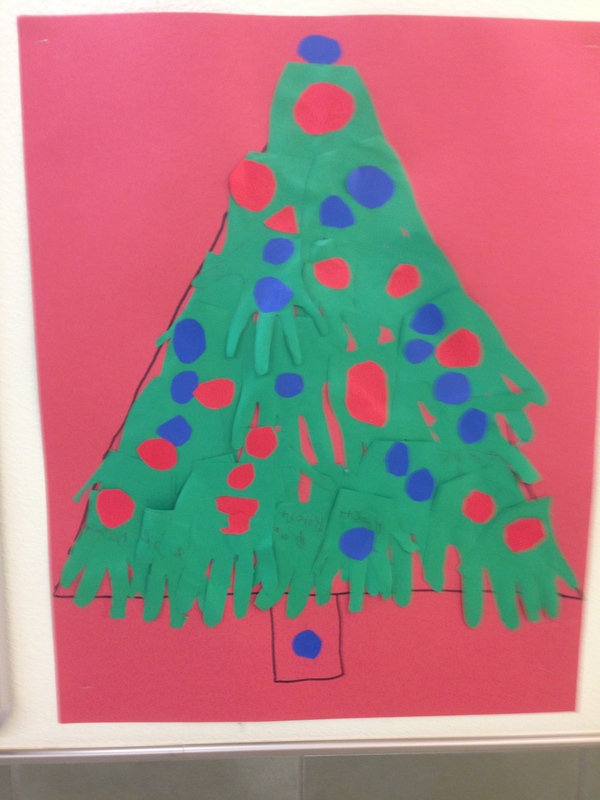 We then took the hand print and made them into a Christmas tree. 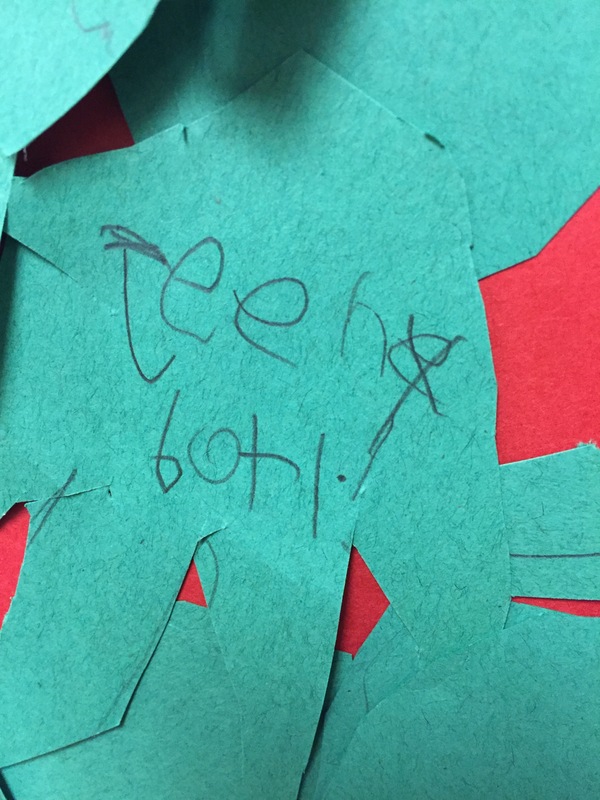 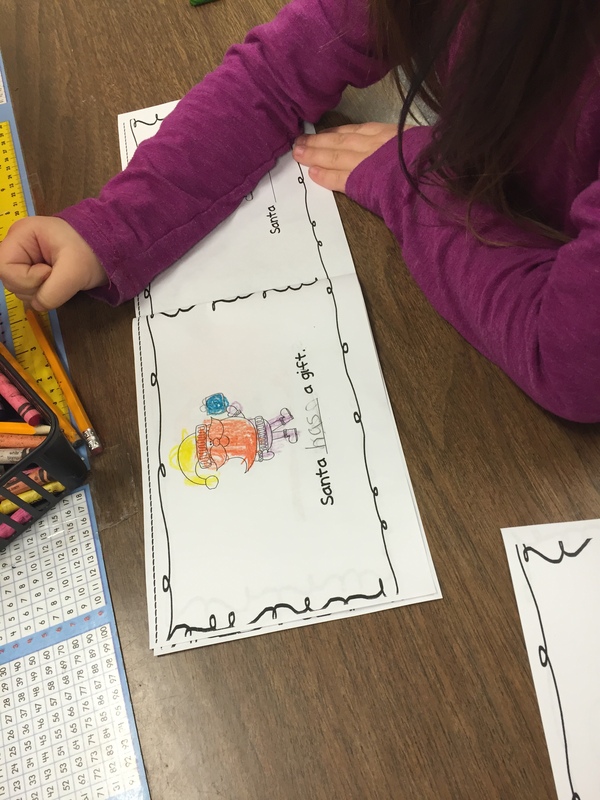 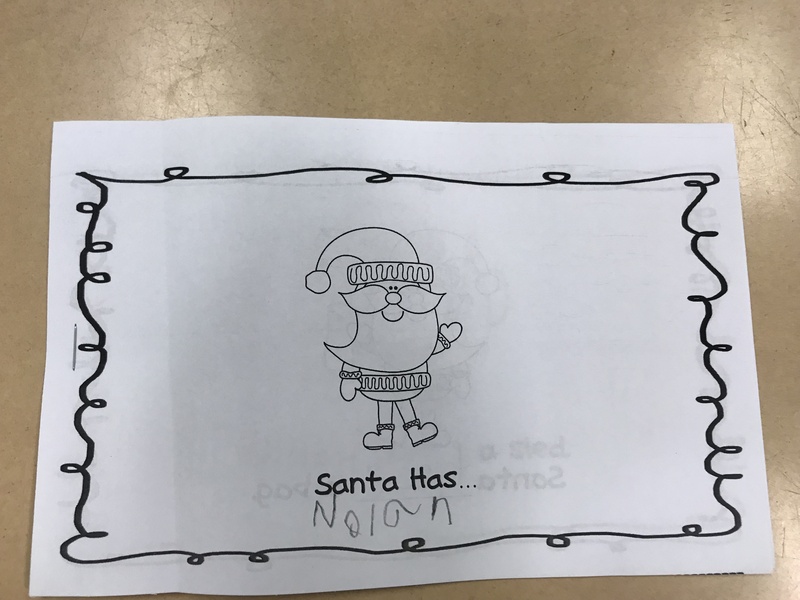 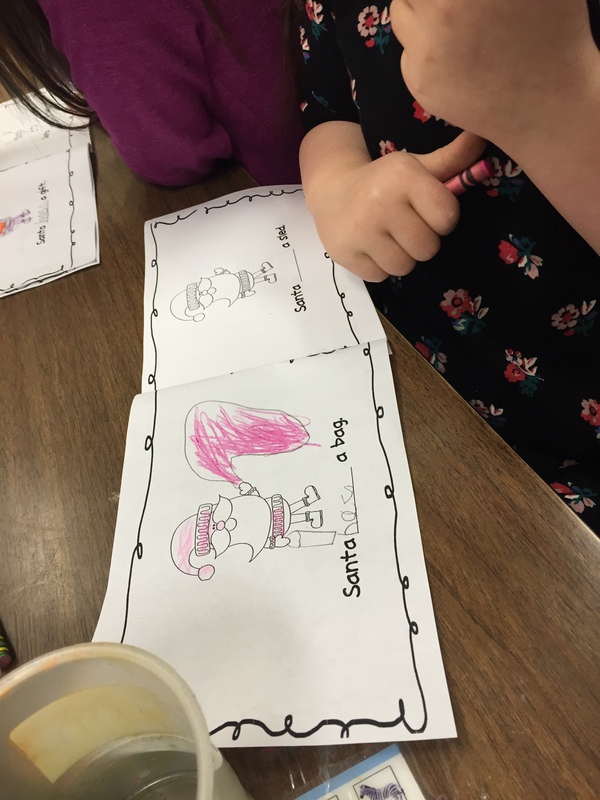 Finally we made a Santa Has sight word book.